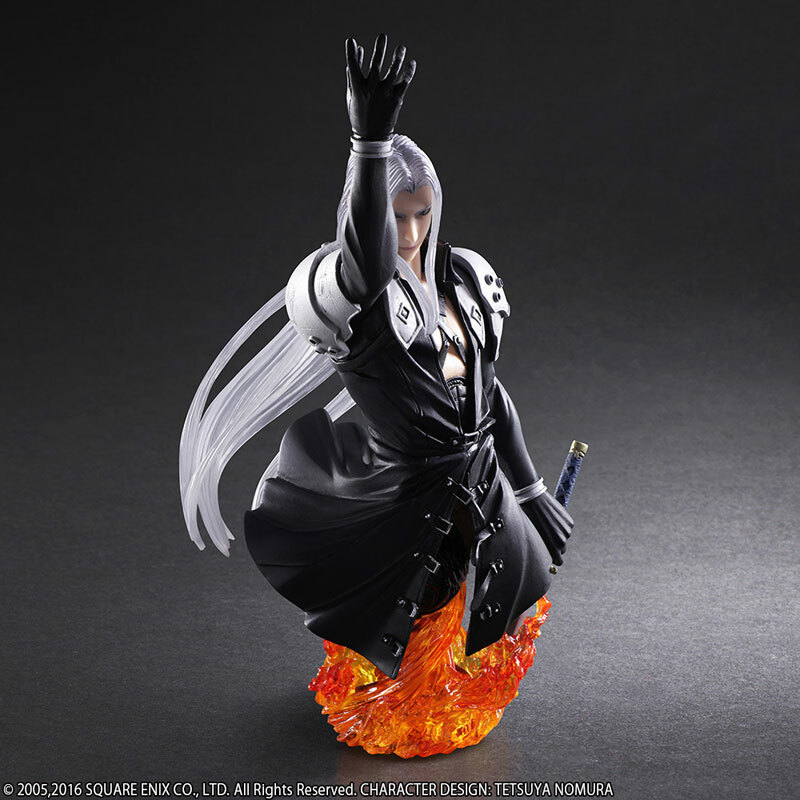 Pre-orders should be going live soon (if not already) for an all-new bust coming from Square Enix. 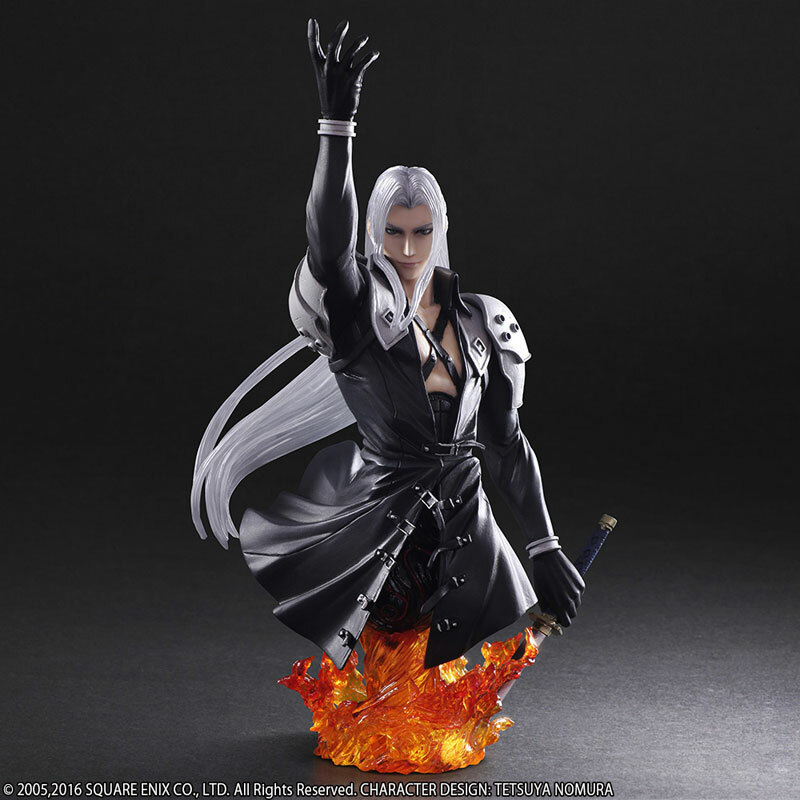 They have released photos for their upcoming Final Fantasy VII – Sephiroth Static Arts Bust. 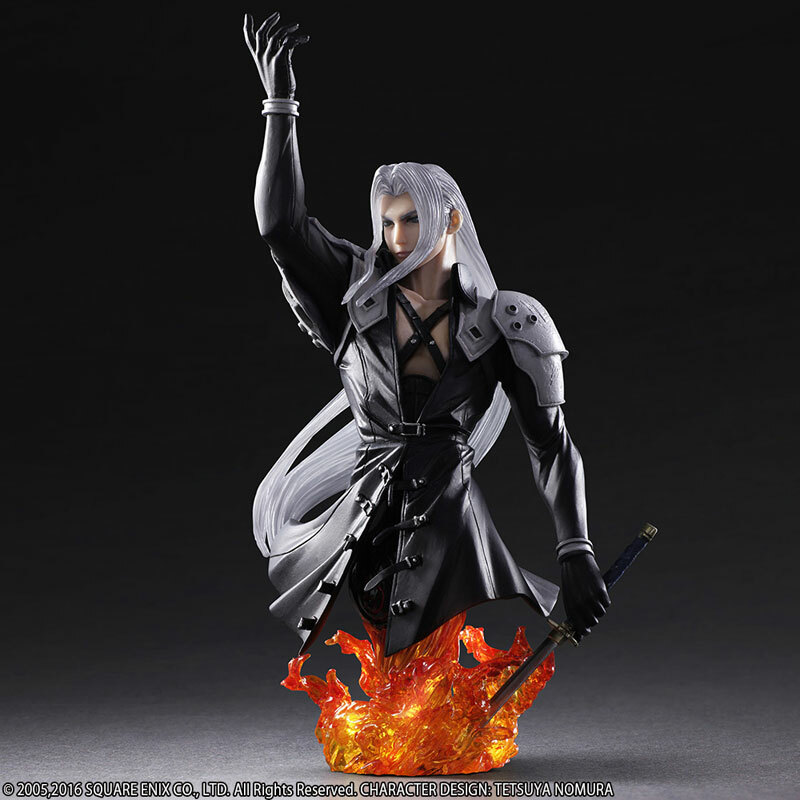 The statue is based on the moment Cloud and team spot Sephiroth after he has burned down the town of Nibelheim. The bust, made from PVC, will stand just over 7.5″ tall. 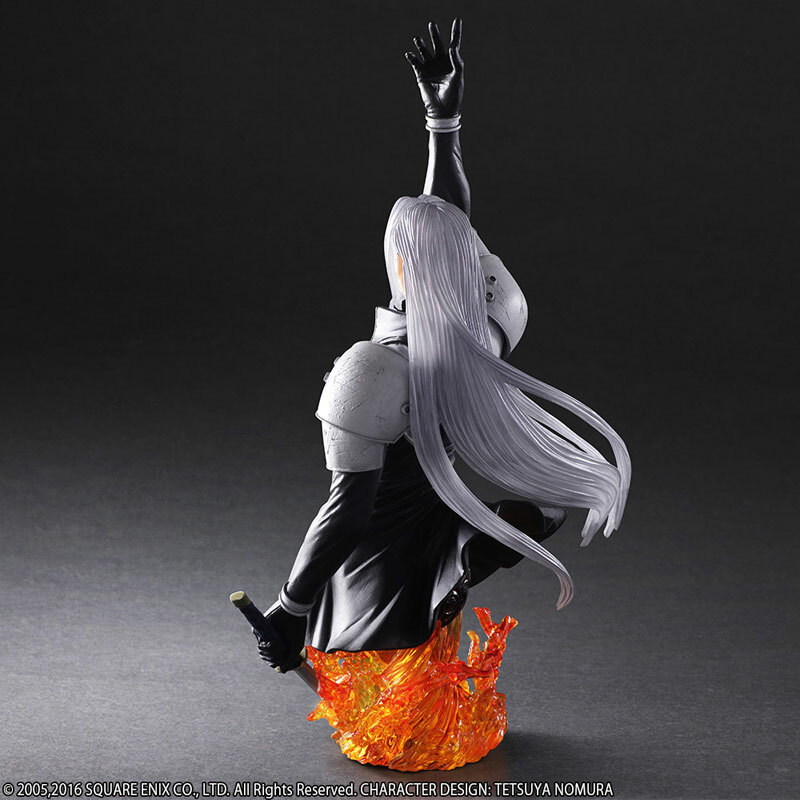 The hair, as well as the flames are cast in a translucent PVC. 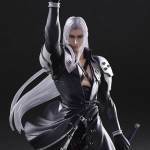 The Sephiroth Bust is scheduled for release this august. It will be priced at 7,344 Yen (about $65 USD). Read on to see all of the new photos. All times are GMT -4. The time now is 8:07 AM.